The core of every iPhone revision is the advancements Apple makes as they continue to push the bounds of mobile technology. The iPhone 6 and iPhone 6 Plus announcement definitely lived up to the expectations. Apple announced a new generation of Retina displays that they are branding as “Retina HD”. The 4.7“ iPhone 6 model will feature a 1334x750 screen resolution and have 38% more pixels than its iPhone 5s predecessor. The larger iPhone 6 Plus model will feature a 5.5” screen with an impressive 1920x1080 resolution – nearly three times the pixels in the iPhone 6 Plus versus the previous generation. In addition to the higher resolution, the new screen technology features a much higher contrast for replicating darker black colors. Despite the larger screen, Apple was able to take the already slim 7.6mm iPhone 5s down to an impressive 7.1mm and 6.9mm in the iPhone 6 Plus and iPhone 6, respectively, and they will include ion-strengthened glass that beautifully curves around the outer edges of the device. Apple even promotes a broader angle of viewing in the all new photo-aligned IPS display which should come in handy when sharing photos and videos with those around you. This is achieved through a technology Apple refers to as dual-domain pixels which help in displaying correct pixel colors at even the widest supported view angles. The processor that powers the next generation iPhones is a desktop-class 64bit Apple A8 chip. It has a 20 nanometer structure that reaches new levels of both performance and efficiency. During the keynote, Phil Schiller boasted some interesting statistics and claimed the new chip gains 20% more CPU performance, 50% faster graphics performance, all in a package that is 13% smaller than the A7 chips found in current models. In addition to the A8 processor, the M8 motion coprocessor also received a spec bump during the media event. It gained an additional sensor that is called a Barometer which is used to estimate relative elevation. It can also now estimate distance traveled on this low-power coprocessor which will integrate well with iOS 8’s new Health app. The camera is debatably one of the most important aspects of any mobile device these days and Apple never leaves it untouched. 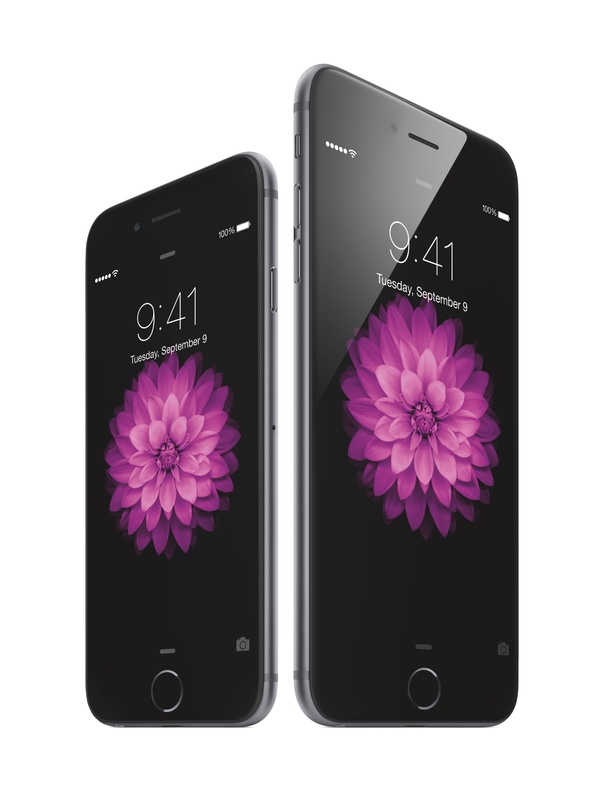 The iPhone 6 and iPhone 6 Plus received substantial upgrades in the photo and video department. The iSight cameras that ship in the new iPhones are 8 megapixel cameras with new sensor technology known as Focus Pixel which allows for faster auto-focusing; it also uses dedicated hardware resources for quicker face detection. However, the interesting part came when Phil Schiller announced Optical Image Stabilization, available only in the iPhone 6 Plus. This is a critical feature because so many people rely heavily on their mobile phones as their primary cameras that they may be willing to spend the additional money just to get the iPhone Plus for its optical technology. But what is Optical Stabilization? Schiller described it as additional movements that are now possible in the lens of the iPhone 6 Plus. It was previously possible for the lens to move in and out as it focused, but it is now capable of moving side to side and up and down to focus quickly and accurately, resulting in fantastic photos with less effort (this will also improve shooting images in low light which is a common occurrence). Video recording features will also utilize the optical power in the lens of the iPhone 6 Plus. Other notable features mentioned included tone mapping, noise reduction, an 5 element lens and brand new Apple designed image signal processor. Other additions to the iPhone 6 included advanced wireless technology and NFC for mobile payments in the form of Apple Pay (which will be covered in more depth in a separate article). As for wireless technology, Apple has built in 150Mbps LTE with the help of a technology the refer to as “Carrier Aggregation”. The Wi-Fi chip has been upgraded to Wireless AC and is capable of an astounding 433Mbps when used with an appropriate router. Also announced was the inclusion of VoLTE. This exciting technology takes voice calls off of the carrier’s 3G network and places them on LTE, which should allow for simultaneous voice and data usage. No iPhone hardware revision would be complete without a mention of battery life. 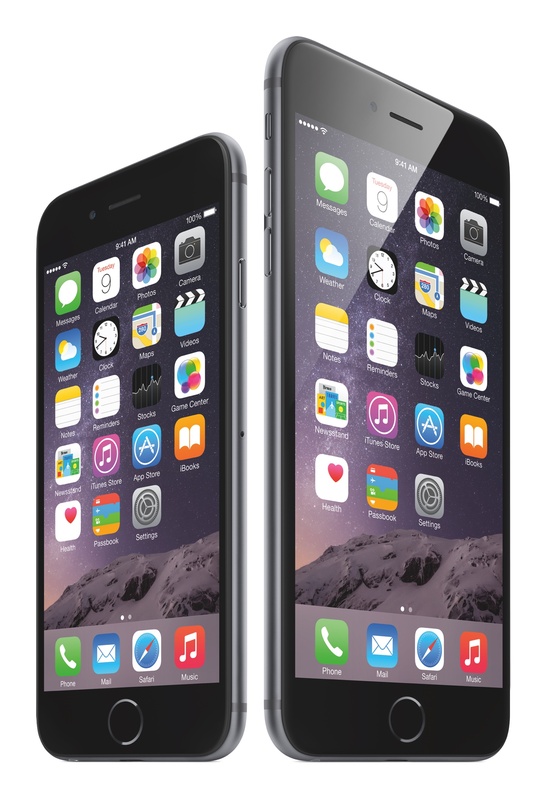 As expected, the new iPhone 6 outlasts the previous generation substantially thanks to its larger housing. The iPhone 6 and iPhone 6 plus last roughly 14hrs/ 24hrs, respectively, when talking on 3G and 10hrs / 12hrs browsing the web on LTE. Truly impressive for a slimmer generation of iPhones. Both iPhones will ship with iOS 8, Apple’s next generation mobile operating system. As seen during the keynote – the iPhone 6 Plus had small additions to its larger UI that was not visible in the smaller iPhone 6 model. For example, the new Messages displays the image of the contact in the conversations list. Apple has been preparing developers with tools released at this year's WWDC event for building adaptive user interfaces: tools like Auto Layout and new Size Classes in iOS 8 will help developers build unique experiences for every screen and orientation available in the iOS ecosystem. The iPhone 6 and iPhone 6 Plus will come with three storage sizes: 16GB, 64GB, 128GB options. They will be available in three colors as well: Gold, Silver, or Space Gray. Also launching with the release of the new iPhones will be new iPhone 6 cases. New leather cases will available in Black, Soft Pink, Olive Brown, Midnight Blue, and Red. These will be priced at $45 for the iPhone 6 and $49 for the iPhone 6 Plus. In addition, brighter colored silicon cases will also be available for only $35 for the iPhone 6 and $39 for the iPhone 6 Plus. Excitingly, there will be a pre-order for the devices available starting Friday, September 12th. Apple's Tech Specs page for the new iPhones. 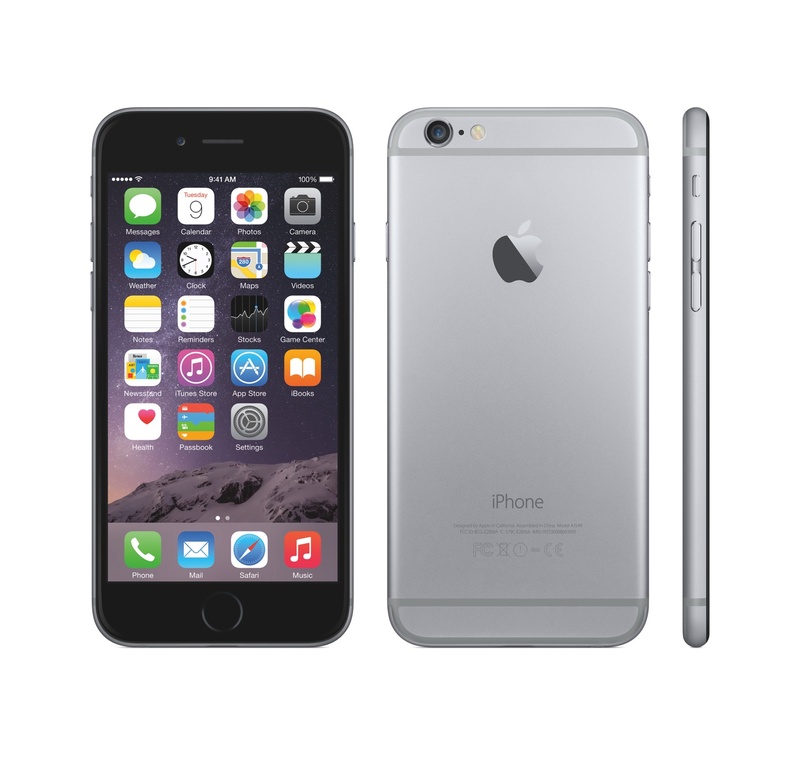 Apple's official Accessories page for the iPhone 6. Leather case for iPhone 6 and iPhone 6 Plus. 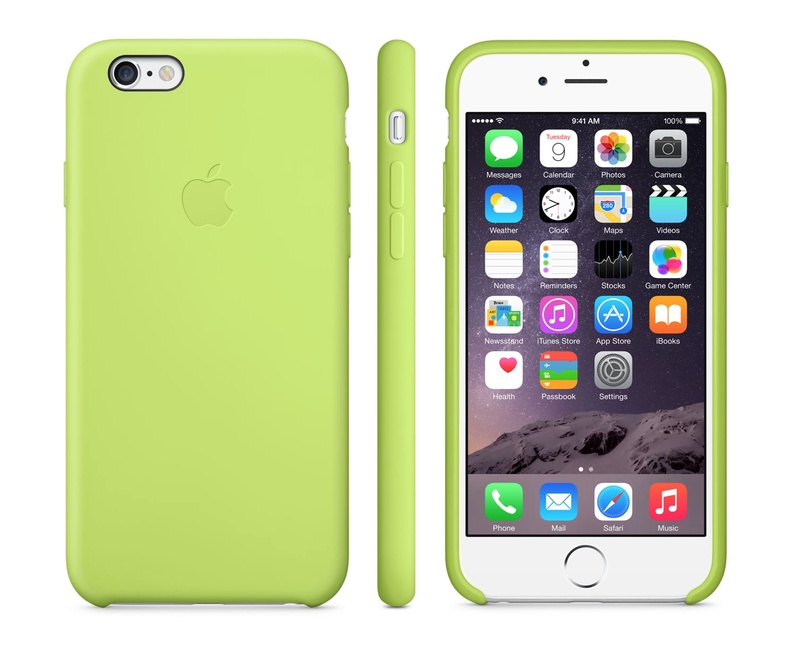 Silicone case for iPhone 6 and iPhone 6 Plus. The Verge has an excellent hands-on with iPhone 6 and iPhone 6 Plus, which they describe as "right in the middle of the familiar iPhone experience and the iPad". The Verge also has a hands-on video for the iPhone 6 and iPhone 6 Plus. On their YouTube channel, Apple just posted the official promo videos and ads for the iPhone 6. 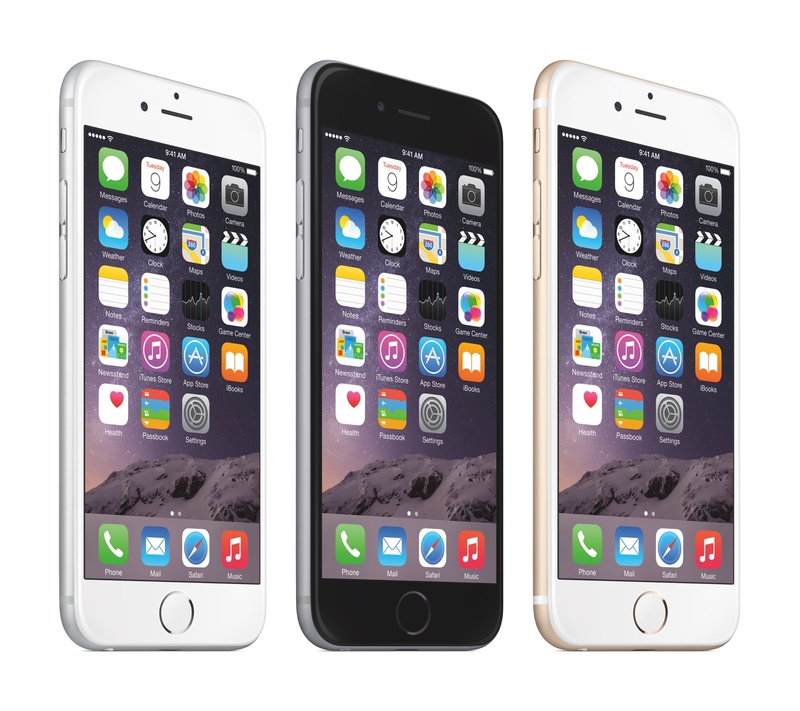 Rene Ritchie compares the iPhone 5, 6, and 6 Plus. Bloomberg's hands-on with the iPhone 6.